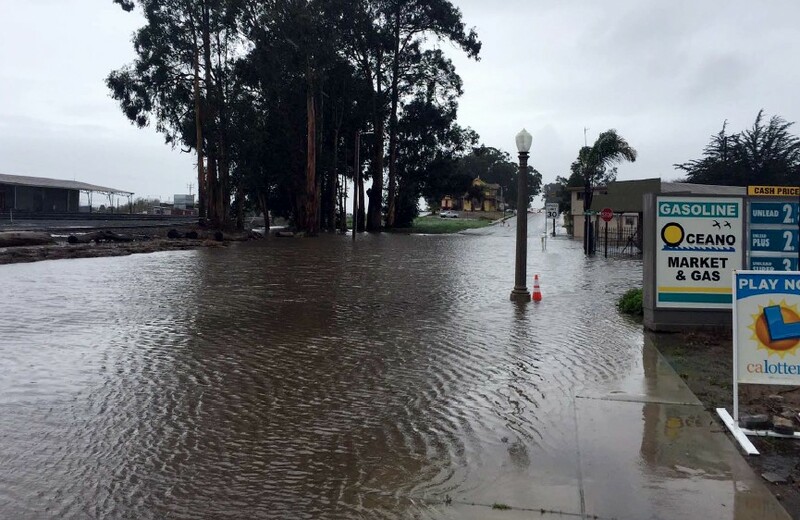 The U.S. Department of Agriculture is lending San Luis Obispo County money to help build a stormwater system in Oceano and prevent flooding on Highway 1. The $3 million loan will go toward installing a drainage system at the corner of Highway 1 and 13th Street. KEEPING WATER OUT A $3 million U.S. Department of Agriculture loan will help build a drainage system to halt a chronic flooding issue in Oceano. In an email to New Times, SLO County Public Works Deputy Director Dave Flynn said that a large pond forms at the intersection, affecting local businesses and traffic. "Rainfall runoff accumulates in the intersection to depths of 1 to 2 feet, even in moderate storms, then slowly drains through a pipe under the Pismo-Oceano Vegetable Exchange packing shed on the south side of the Union Pacific Railroad tracks," he said. After moderate rainfall, Caltrans routinely closes Highway 1, Flynn said, detouring traffic onto adjoining local streets for hours—sometimes days—around the water at the intersection. The project will create new drainage inlets and transfer the drainage through underground piping to a new concrete sedimentation basin. The entire project will cost approximately $6 million, half has already been accrued: $1.2 million from Caltrans, $1.33 million in State Highway Account funds through San Luis Obispo Council of Governments, and $700,000 in federal Community Development Block Grants as allocated by the Board of Supervisors. The $3 million from the USDA loan will close the gap on construction costs. "The funding gap was a major hurdle to get the project moving forward and the USDA's loan program has made this project a reality to get to construction," Flynn said. The project is scheduled to be advertised for construction bids in late January 2019, he said, and awarded to the successful bidder in April 2019.